Spiritual Life, Spiritual Direction: God in You, Part 3 of 5 ~~ In the third episode of five of the show Women of Grace: Spiritual Life, Spiritual Direction: God in You, Dan Burke discusses his conversion from the Jewish faith to Catholicism through Protestantism and finally being received into the Church on the Feast of Our Lady of Mount Carmel. Dan goes on to discuss the Purgative Way and the stages of spiritual growth and the importance of prayer throughout the stages. Dan Burke is the President and Founder of Catholic Spiritual Direction and the Avila Institute for Spiritual Formation. Are you thriving to learn more about prayer and the stages of spiritual growth? 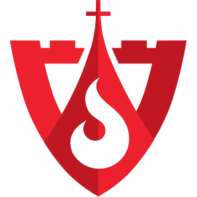 The Avila Institute for Spiritual Formation offers courses on Pray, Discernment of Spirits, Spiritual Direction, the Lives of the Doctors and Saints of the Church among other topics. To learn more go to www.Avila-Institute.com or send an email to Nicole at inquiries@myavila.com. “Women of Grace® is a Catholic apostolate which began in 2003 as an outreach of Living His Life Abundantly®, Inc, a 501(c) 3 not-for-profit corporation. The mission of Women of Grace® is to transform the world one woman at a time by affirming women in their dignity and vocation as daughters of God and in their gift of authentic femininity™ through ongoing spiritual formation. Exploring all aspects of the “feminine genius,” Women of Grace® promotes the dignity of woman, the gift of true womanhood, woman’s fundamental call and mission in the world, and presents the Blessed Virgin Mary as the exemplar of all women. PrevPreviousShouldn’t we Let David Off the Hook?